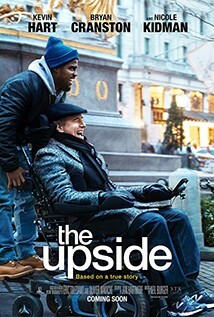 Based on the hit 2011 French film ‘The Intouchables’, this is a heartfelt comedy about a recently paroled ex-convict (Kevin Hart) who strikes up an unlikely friendship with a paralyzed millionaire (Bryan Cranston). Phil (Cranston) needs to hire a new caretaker to help with his day to day needs. His assistant Yvonne (Nicole Kidman) sets up interviews with a range of possibilities, and he eventually goes with Dell (Hart), a reckless divorced dad newly released from prison who just wants an easy gig to keep his parole officer at bay. Cranston and Hart bounce off one another with such ease and their chemistry is spot-on. While Cranston fit the role of Phillip from the original French film very well, Kevin Hart was a strange choice to fill the shoes of the scene-stealing Omar Sy. But he succeeds, and shows a side of him as yet not scene on the big screen.